…still made a career out of it. Why nobody is talking about them? That is the title of a book written by Nicolas Darvas- one of the less known traders of our time. I wanted to contribute to more traders learning about him and his trading philosophy. Feel free to share this article with more traders, so they know about him! 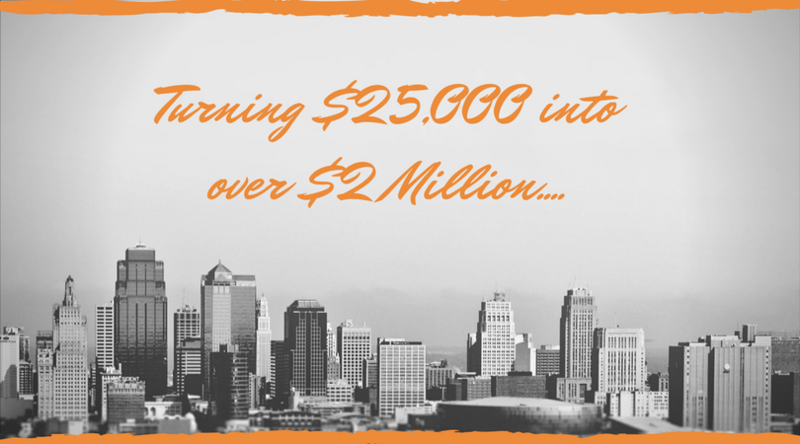 That is the major reason why I I took the time to create and share an article about his life, trading and how he turned $25,000 into over $2 Million…. Nicolas Darvas is a Hungarian by birth. He studied economics in Budapest before emigrating to the United States when the Soviet Union took over Hungary. He fled through Turkey with only 50 pounds sterling and a forged exit visa. This was in 1943. By 1953 he was already appearing in the show of Judy Garland and Bob Hope as dancers. A very dynamic and professional by nature, Darvas was using every spare moment to learn more about trading. It all began in 1952 when a nightclub in Toronto offered Darvas to pay him $3,000 worth of stock instead of his normal cash payment. In two months this initial equity has turned into $8,000. While on a tour, Darvas was still reading trading books up to 8 hours a day. He is claimed to have read over 200 books on the market during off hours. 200! Try to remember the last 10 books you read on trading and try to imagine that multiplied by 20! So much wisdom is collected in those pages. I do highly recommend that you find this book and read it as soon as you can. Here is a LINK, but you can also do your own research if you want a different version of the book. The second point of this article is also to share with you some of the thoughts that have really made a great impression on me. They are worth re-reading and sharing with other avid traders. There is so much gold in those pages. You just need to find the time and go through them. Below, I will share some of the more important passages from the book that have helped me become a better trader. I do really hope they will help you become better traders, too. If not, they will at least introduce you to one of the greatest traders in our time that is almost forgotten. Enjoy and share with others- that is how you can help popularise this Master Trader! From here, Darvas concluded that advisory services should not be followed. He also learnt another very important lesson from bad experience: Ignore brokers’ advice. Darvas also said something that Jesse Livermore is known for- Ignore Wall Street sayings, no matter how ancient and revered. He was also an avid long-term trader. In his daily journal he wrote down that he’d rather hold on to one rising stock for a longer period than juggle with a dozen stocks for a short period at a time. Here you can see how Darvas thought. In exploring other trader’s thoughts, it is utterly crucial to try to dig deeper into them. Nicolas Darvas was certainly a trader who thought outside the box. He was acting in a way that just a handful of traders would have agreed with. That is what makes him so great and what everyone should be striving for! Doing the opposite of what the other market participants are doing, could be recipe for success… as long as you know what the majority of traders are doing. What Nicolas Darvas is best known for is his trading style or trading in boxes. He would find what nowadays is described as support and resistance and trade off these levels. Darvas was really looking at support and resistance levels and obviously did very well. There are a lot more details in those pages describing his process of buying and selling a stock. That is why I highly do recommend that you get yourself his book. The following four principles were essential for Darvas. He sticked to them as hard as humanly possible. These thoughts and principles were born at a turning point in his career. He explained how important it is to stick to your rules when he had a losing streak. That is why he wrote them down and kept them in front of his eyes at all times. The major conclusion from these thoughts and what Darvas learnt is that a stock can ALWAYS go further down. He learnt that there is no such thing as “cannot” in the market. The more he was writing, the more he was starting to see that stocks have characters just like people. In his opinion this was perfectly logical since stocks reflected the character of the people who bought and sold them. To sum it all up, Darvas was a man of many interests. Not only he was a gifted dancer and showman, but he was also one of the greatest traders that I have read about. His trading style was simple, yet efficient and his words are the words of a wise man. Thanks for summarizing what nicolas darvas has to share colibri! saving my time from reading books and it’s interesting of what you conclude from reading the books. for me, i may conclude nicolas has passion in trading yet he supports his life in the show biz rather than his trading habbit. That is exactly right! He is a very inspiring trader and I wanted to share it with a lot more traders. Would be great if you share it with your friends, so they can learn about him, as well! Sometimes less known traders are more important than the most famous ones! Thank you for sharing, makes me want to read about him. You have shared with us many trading theories over time. Elliot wave, Dow, Macd, Bollinger, Fibonacci and others. Do you refer to these when making entry decisions or are these articles based ? I have your course and the above not mentioned … just curious about your approach as it may be composed of dynamic tools instead of the static tools in the course. I am using price action all in trend but there are so many ways to look and trade the markets. Darvas Boxes for example would work all on their own too. It can be tempting to try other methods when one has a losing streak. A test on ones character for sure. Yes- always try harder. And when you think you have tried hard enough, try harder!